ARIZONA: GOP Senate Candidate Ridicules Dem For "Protesting In A Tutu" Instead Of Fighting Terrorists - Joe.My.God. Arizona Senate hopeful Martha McSally hasn’t locked up the GOP nomination just yet — but she’s turning to the general election with a searing new TV ad hammering Democratic candidate Kyrsten Sinema for “protesting us in a pink tutu” rather than serving in the military after 9/11. 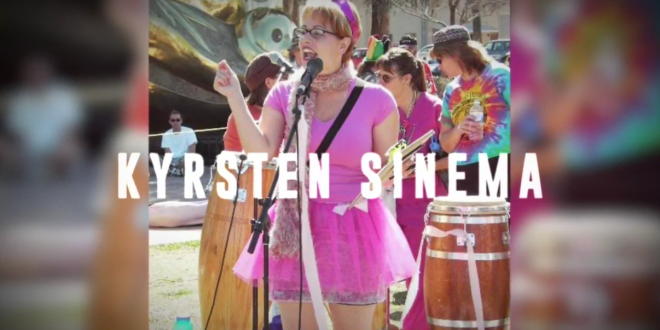 “While we were in harm’s way in uniform, Kyrsten Sinema was protesting us in a pink tutu and denigrating our service,” McSally says in the commercial, which includes footage of Sinema in a pink outfit.